Three ocean-going watercraft with Fiat 500 top hats roamed the waters during the U.S. Open of Surfing this month in Huntington Beach, Calif. 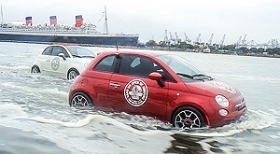 The vessels are part of Fiat's ongoing advertising storyline about Italian immigrants crossing the ocean to come to the United States. 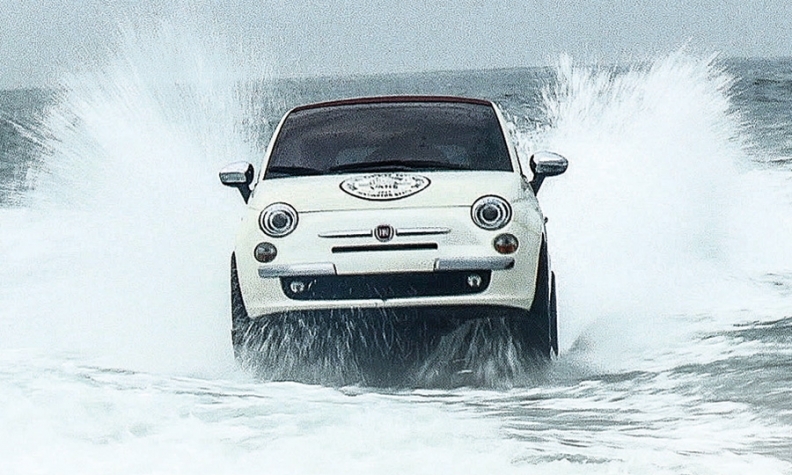 TV spots for the 500 have shown the diminutive cars driving above and below the waves.